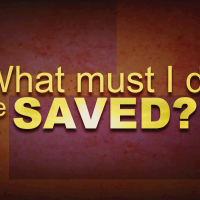 Metropolitan Church of Christ - What Must I Do To Be Saved? This is the single most important question anyone can ever ask. Our souls will exist for eternity, but on the Day of Judgement, Jesus Christ judges all who have ever lived. The saved will go to eternal life while the unsaved will go to eternal punishment (Matthew 25:31-46) This is why it is imperative that we be on the right side of the dividing line before that day arrive. If there is any way in which we can assist you in your search for the Truth, please contact us.